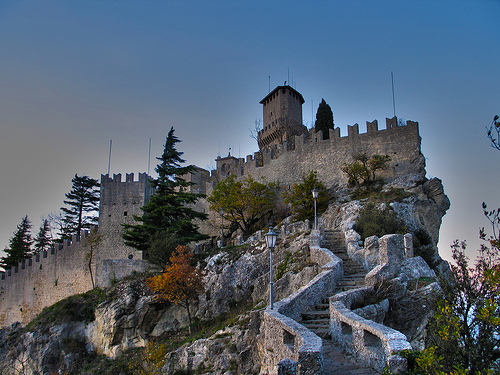 San Marino is an independent country surrounded by Italy much like Vatican City. It is on Italy’s Eastern side near the Adriatic Sea. The people, food and wine here are fabulous. I spent 2 weeks here giving a seminar. The town is small but attractive. I was at a center outside the town but went into town as often as I could. There are no border crossings here. You don’t know you are leaving Italy and entering the country of San Marino. Tourists and locals love this town. You can make a side trip to the sea and enjoy one of Italy’s many beaches. Beware of high tourists season during August. Tourist Destinations has an article on this town with many wonderful pictures. This is a romantic area as is most of Italy. Maybe that is why so many people want to go to Italy.